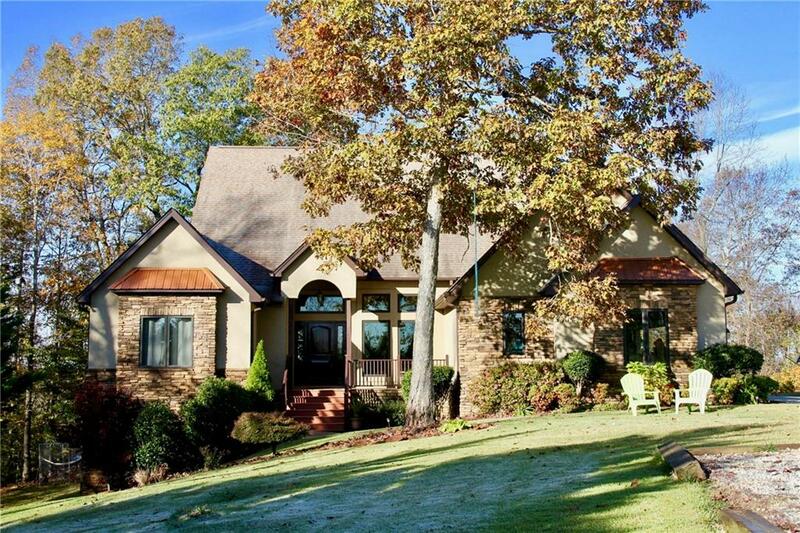 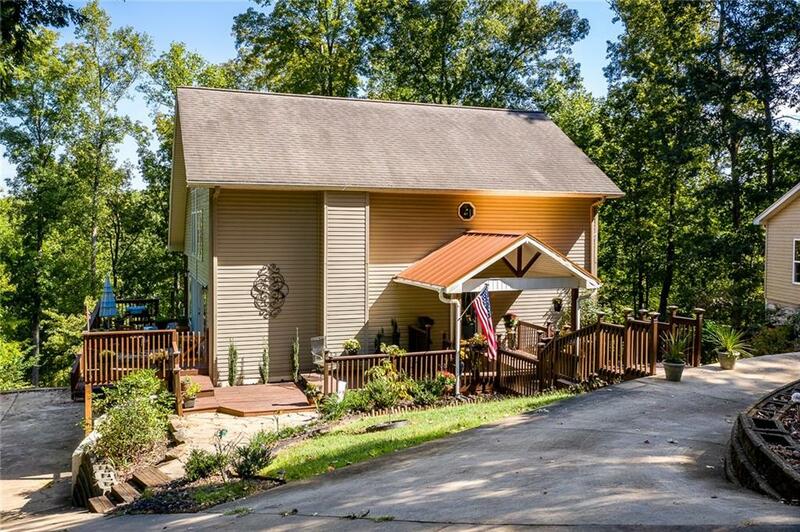 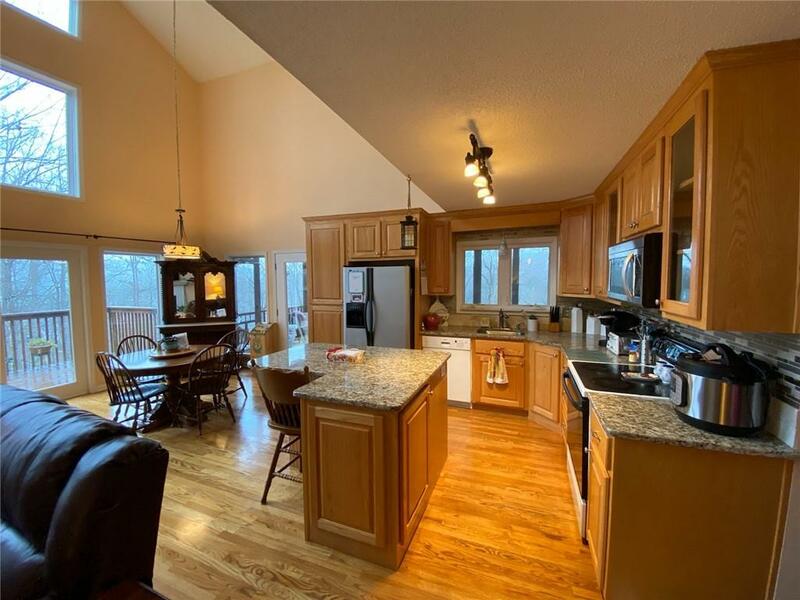 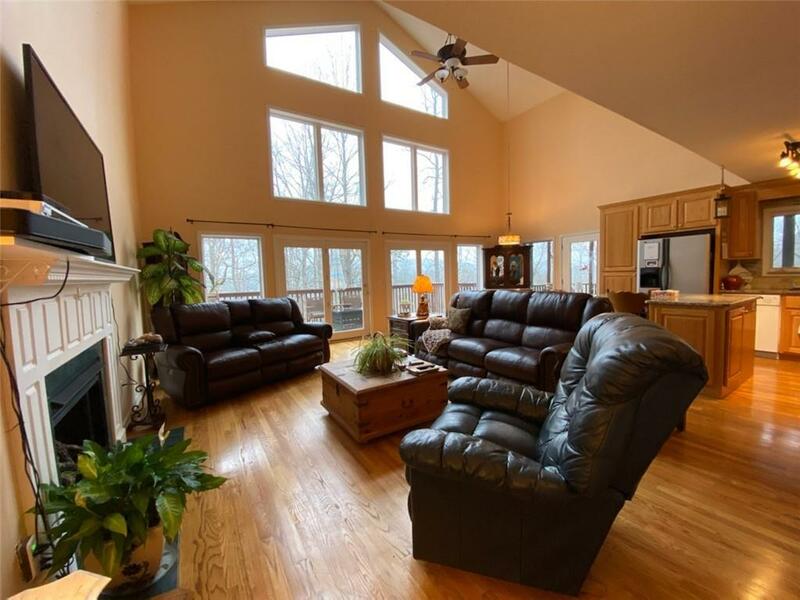 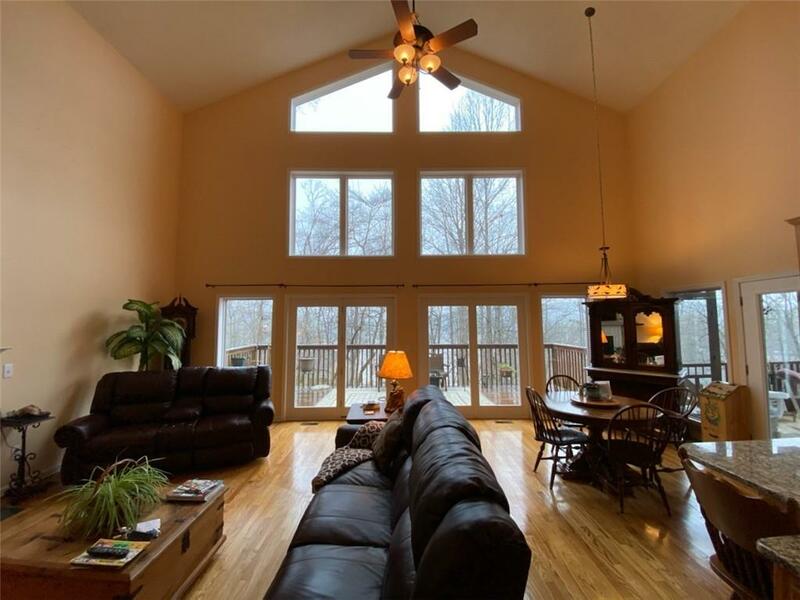 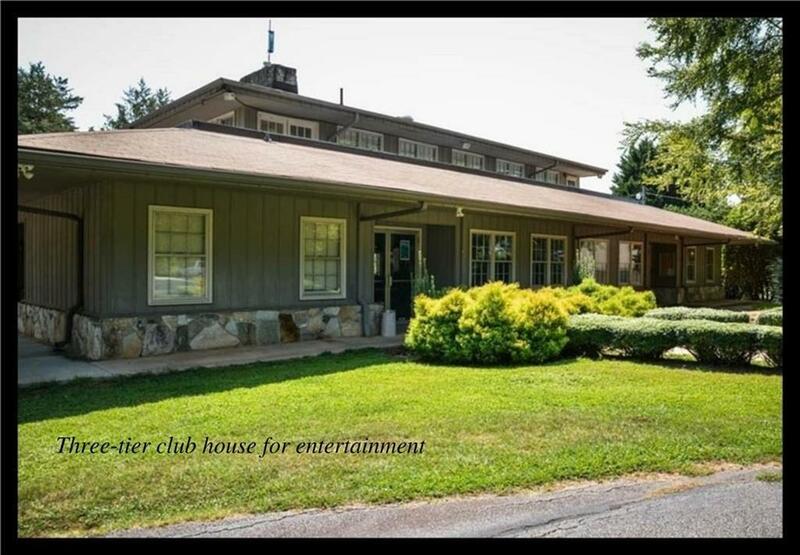 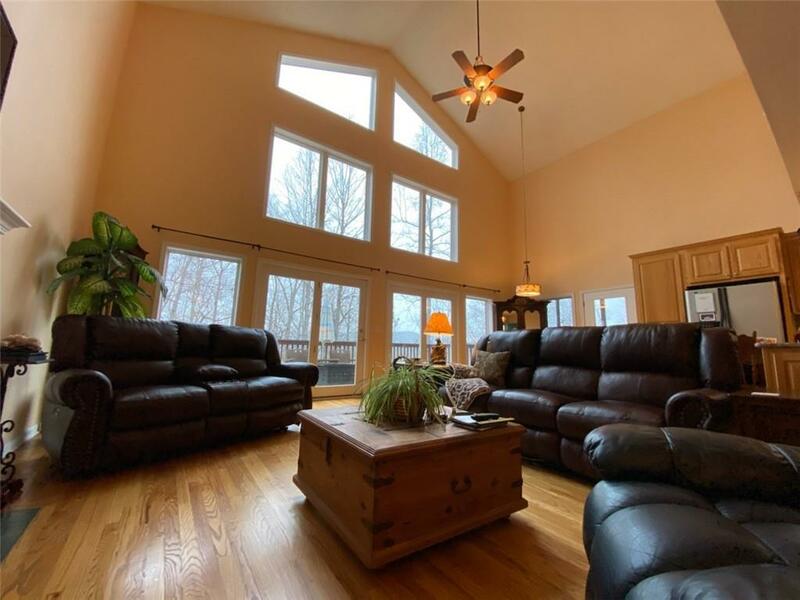 This home welcomes you in with a two story family room and a wonderful wall of windows overlooking the lake views. 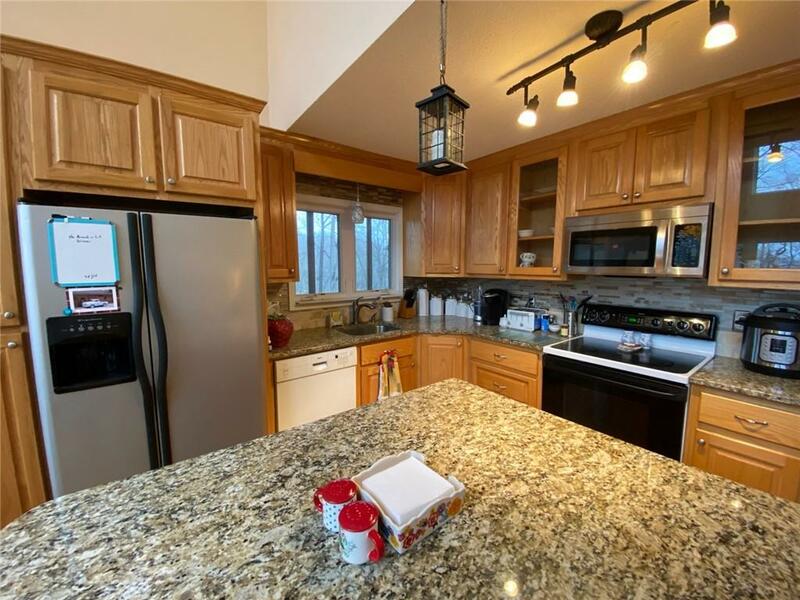 The open kitchen has a large breakfast bar surrounded by Oak cabinetry with Granite countertops. 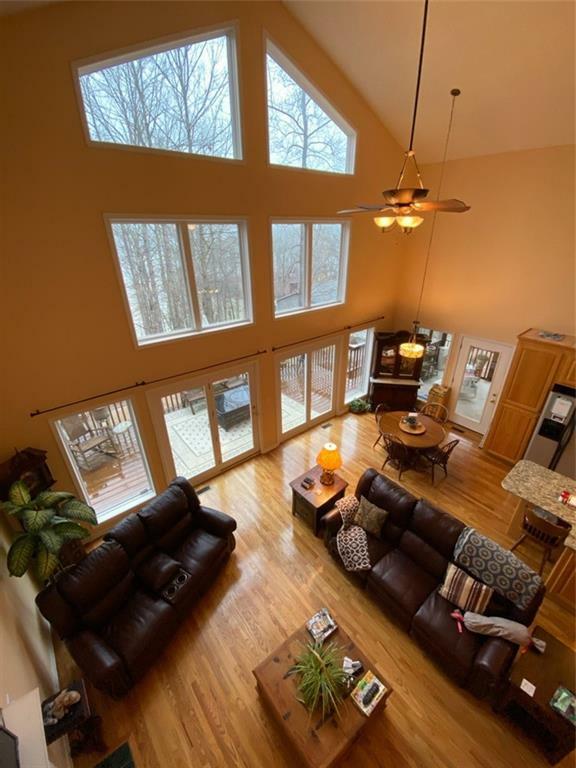 The family room is open to the kitchen and has enough space to easily entertain. 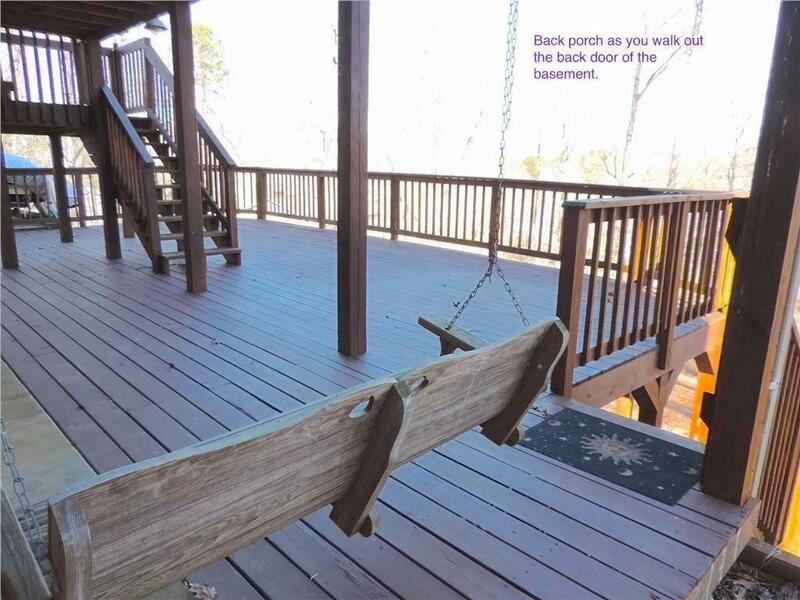 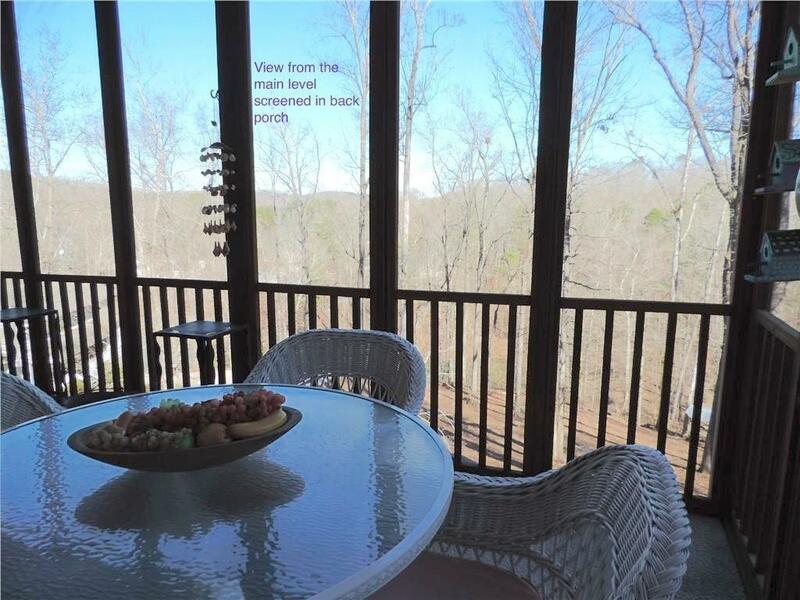 As you walk out the French doors an oversized screened in porch leads to a large deck outside. 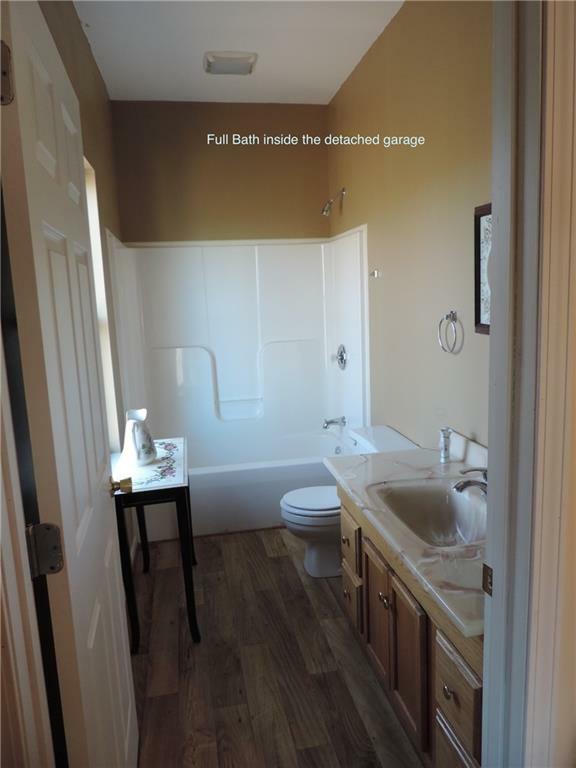 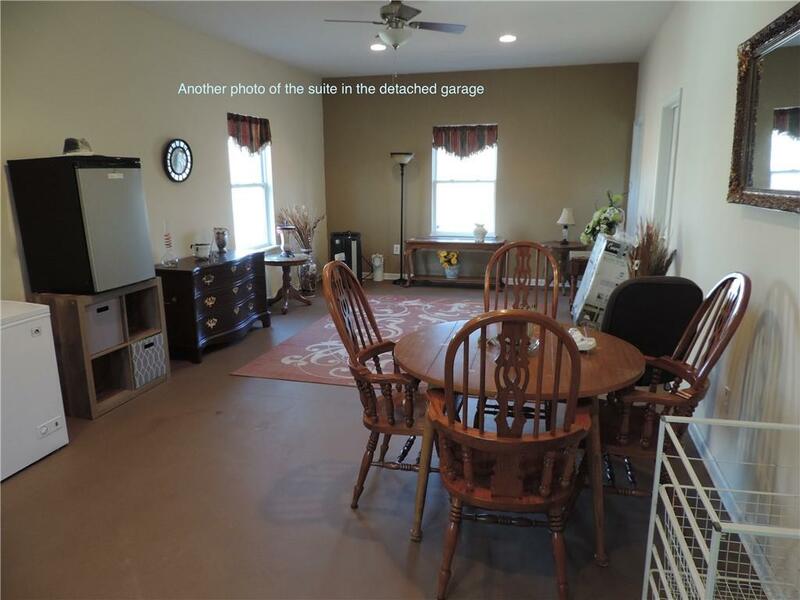 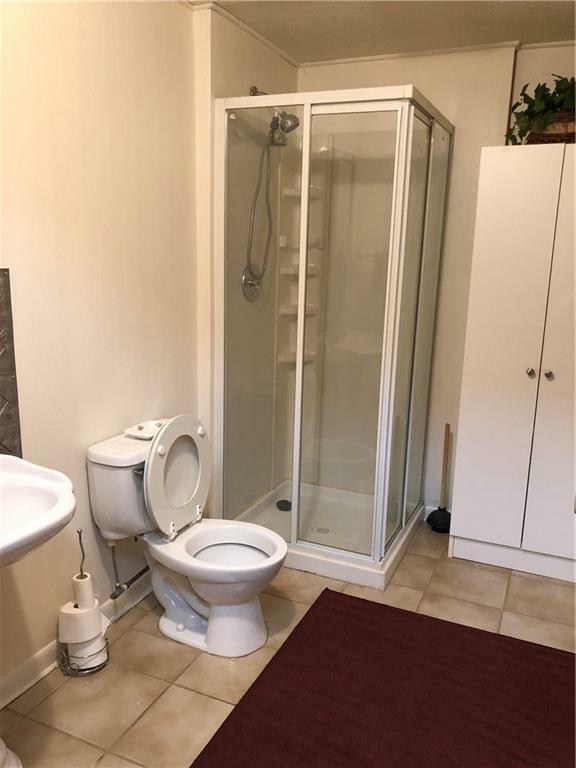 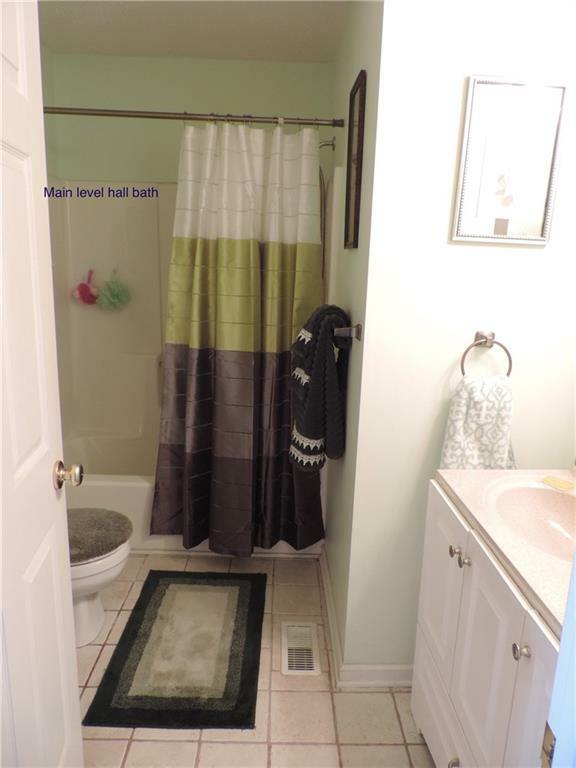 There is a full bath and two bedrooms located on the main floor of this home. 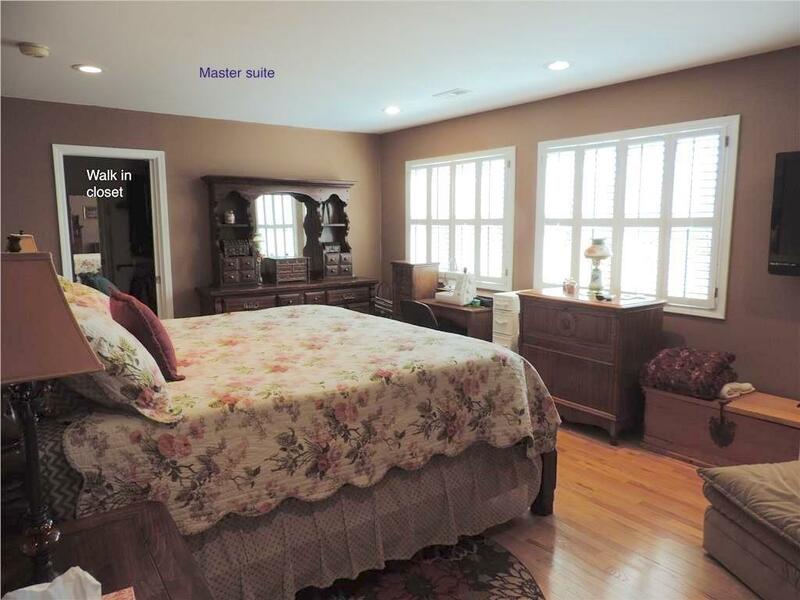 Upstairs you enter a huge loft that leads into the private master bedroom. 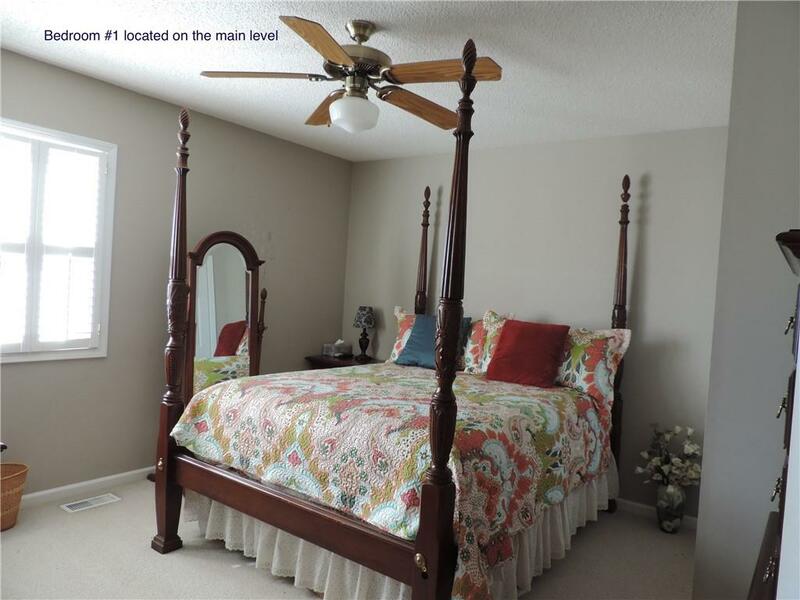 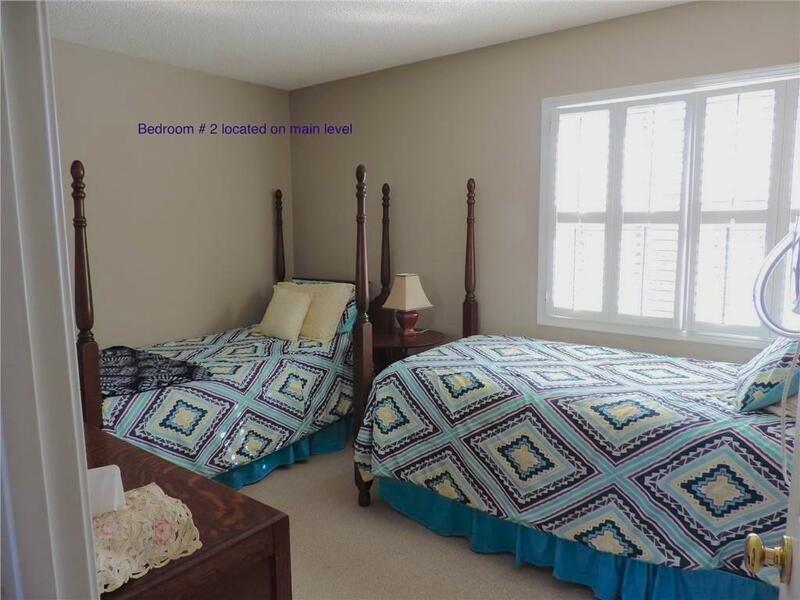 This master bedroom has plantation shutters, a huge walk in closet with its own washer and dryer. 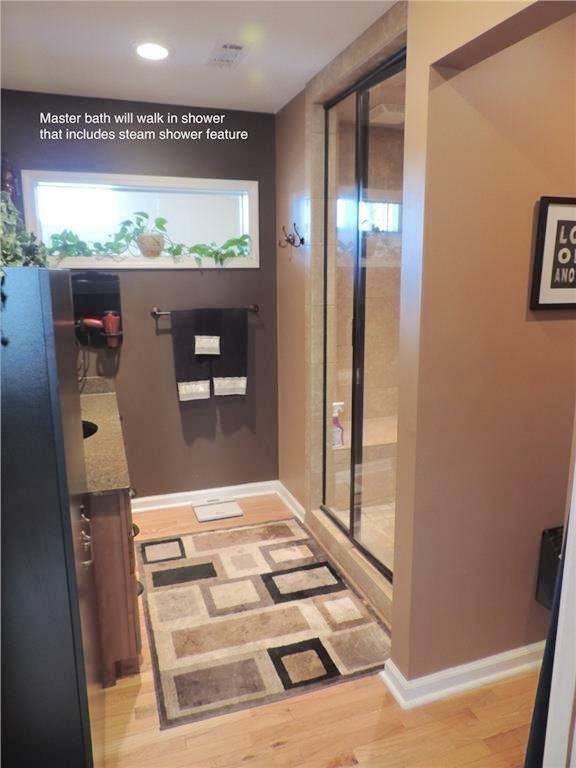 The master bath has a large steam tile shower and granite countertops. 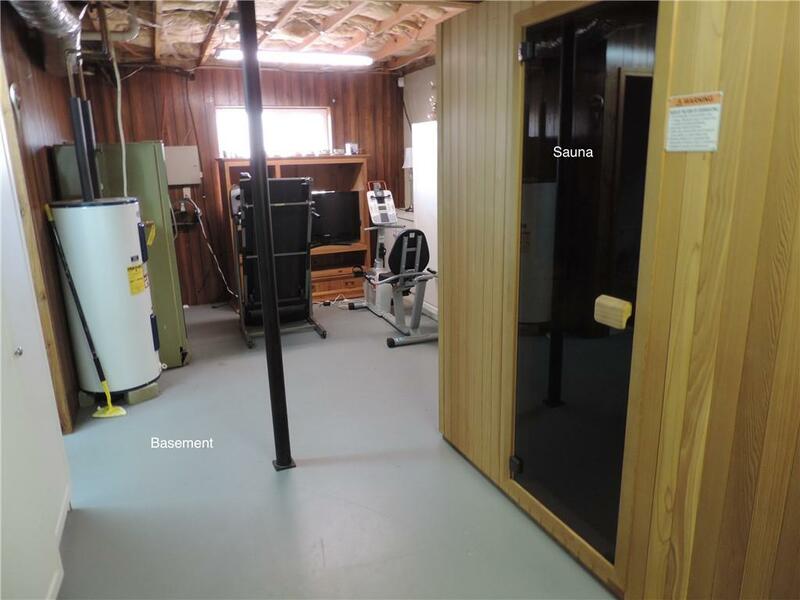 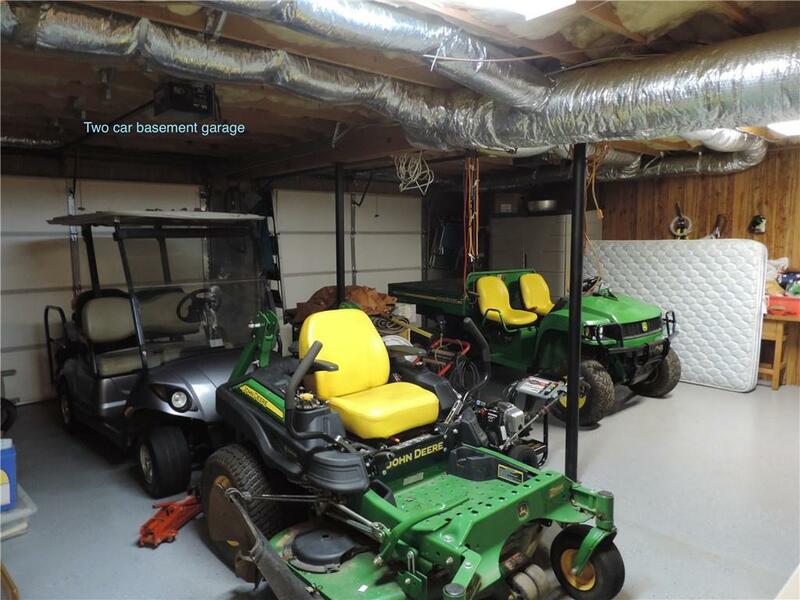 In the basement of this home provides there is a double car garage with another washer and dryer hook up, bathroom, exercise room. 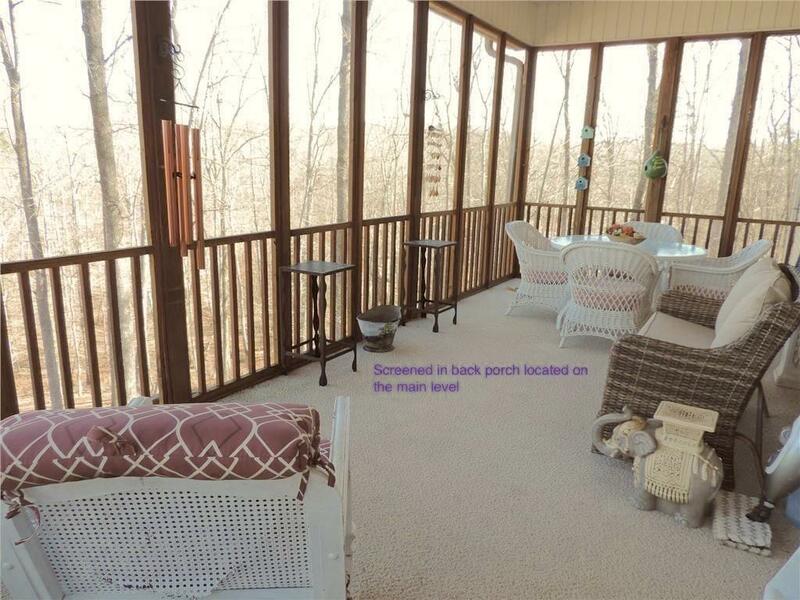 Walking out of the basement you walk onto a deck that overlooks the backyard and a walk way leading to the dock. 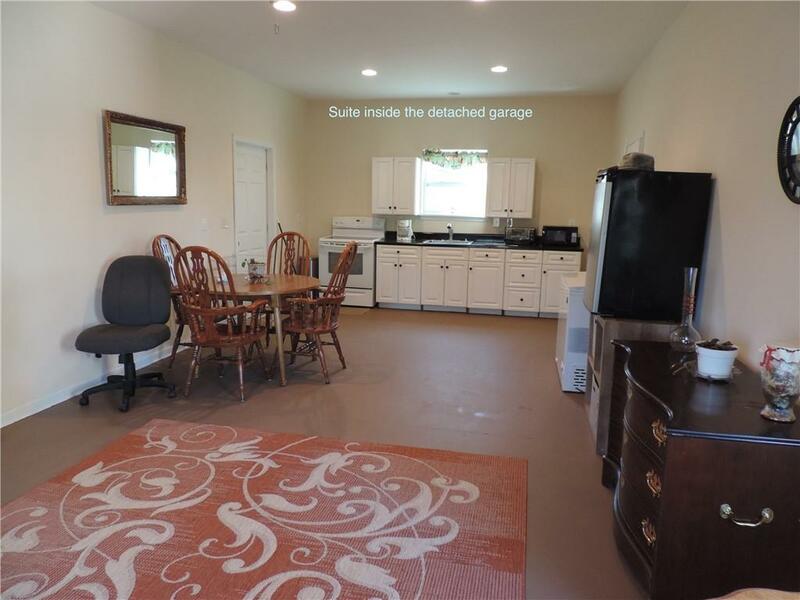 This property also includes a guest house that has a full kitchen, living room/bedroom combination, bathroom and an extra two car garage with storage. 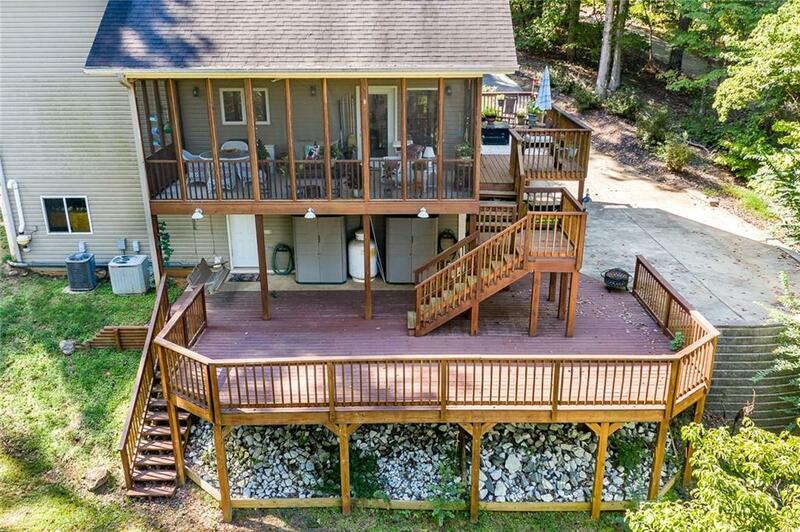 The water and sewer are on the same line as the house. 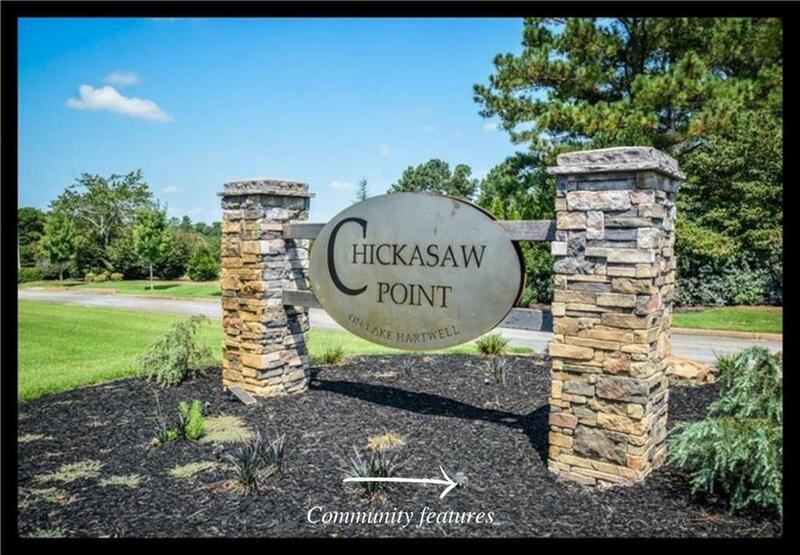 The natural wooded lot joins the army corp of engineers property at the rear, where you will find a tranquil creek that runs into Lake Hartwell.Chickasaw point has an 18 hole golf course, is a gated community with guard on duty, clubhouse, olympic size swimming pool, tennis courts, pickle ball courts, basketball, beach area, boat ramp, marina, pavilion with grills and picnic tables- all overlooking gorgeous Lake Hartwell. 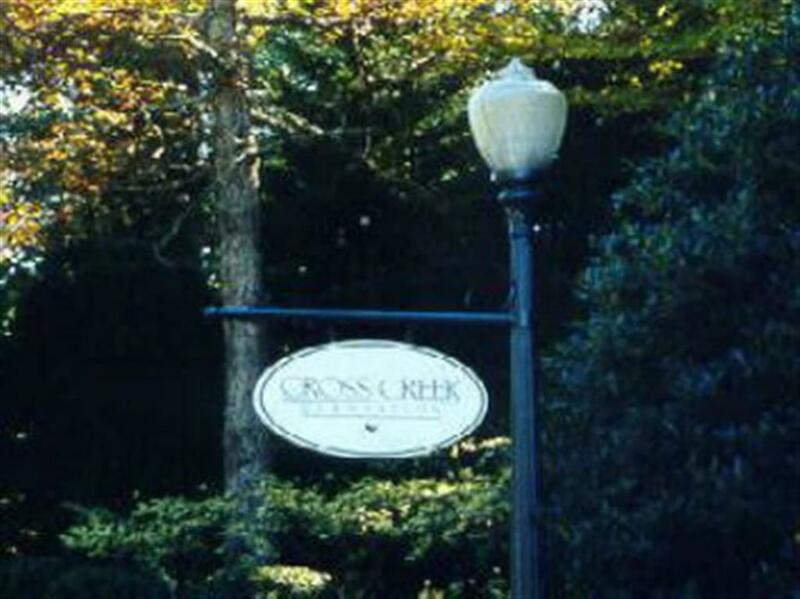 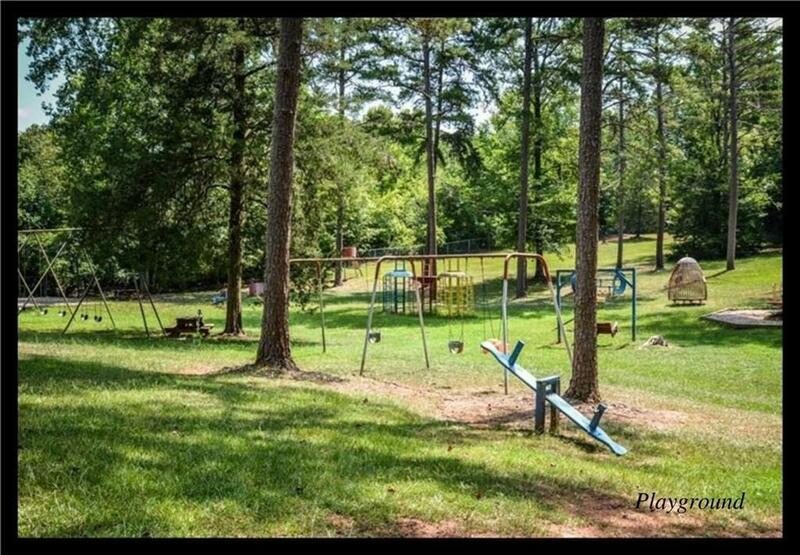 They also have a pet park, pro shop, the Trails Grill -where you can go grab a snack, playground, and walking trails. 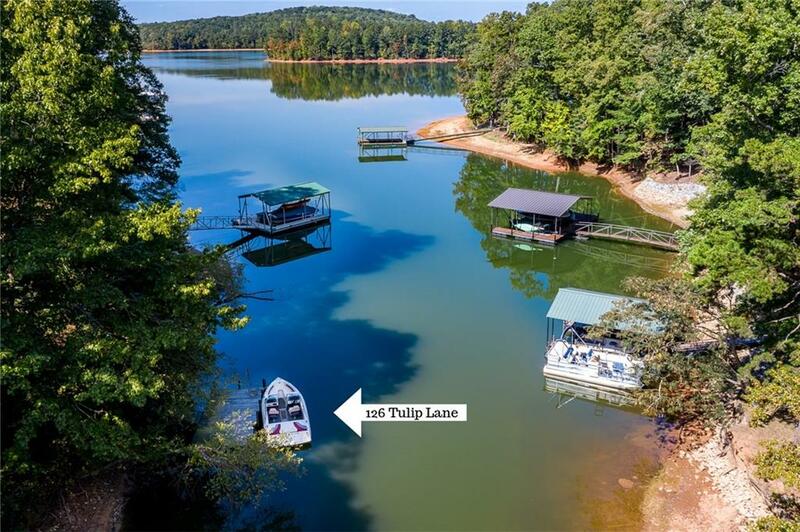 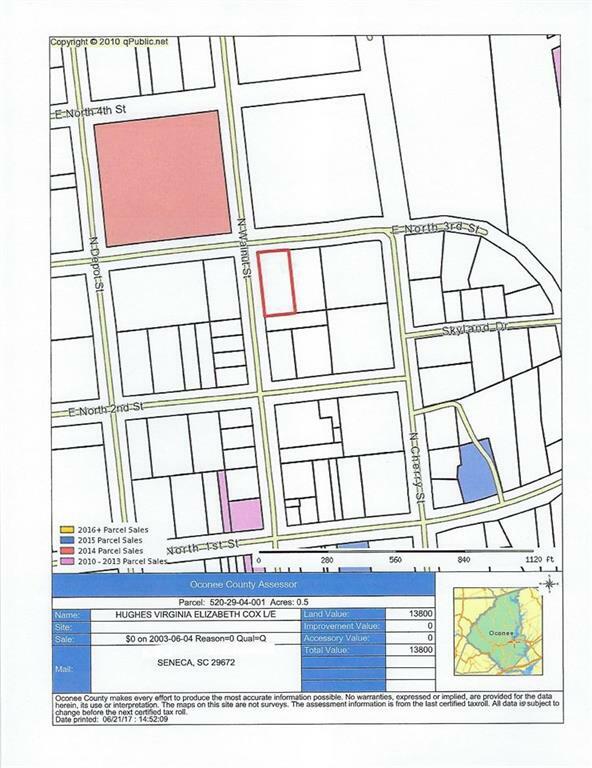 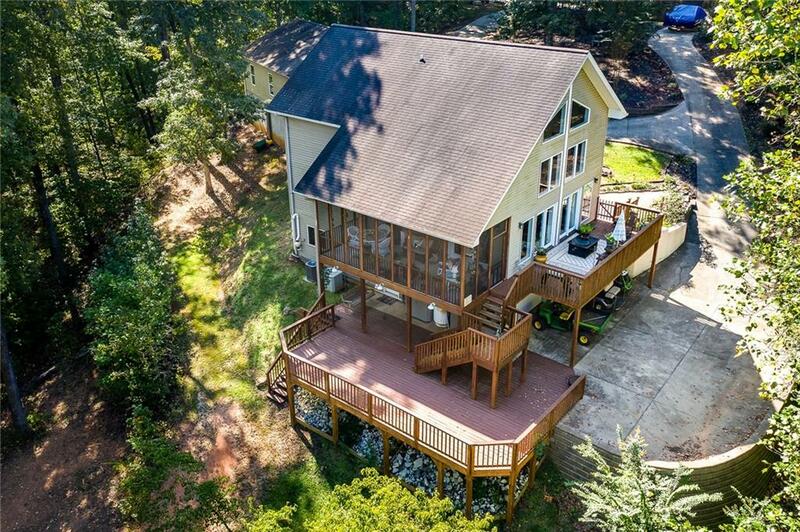 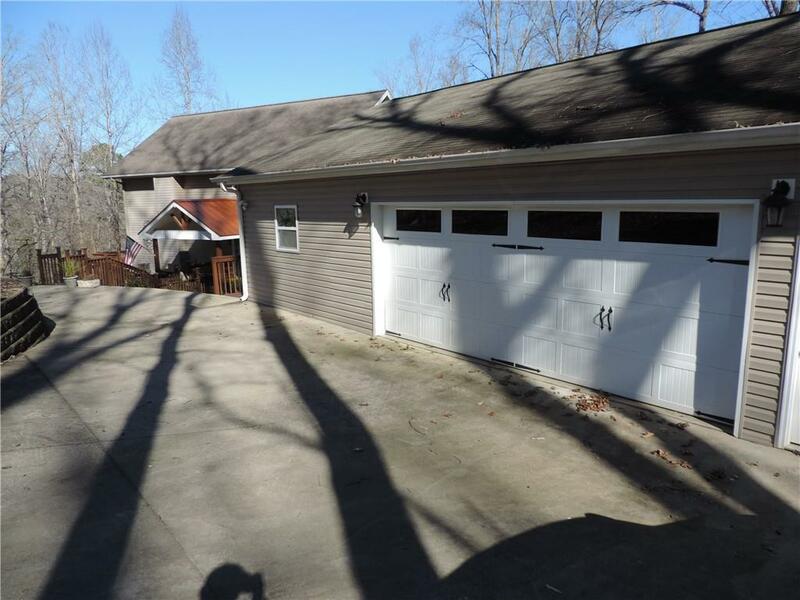 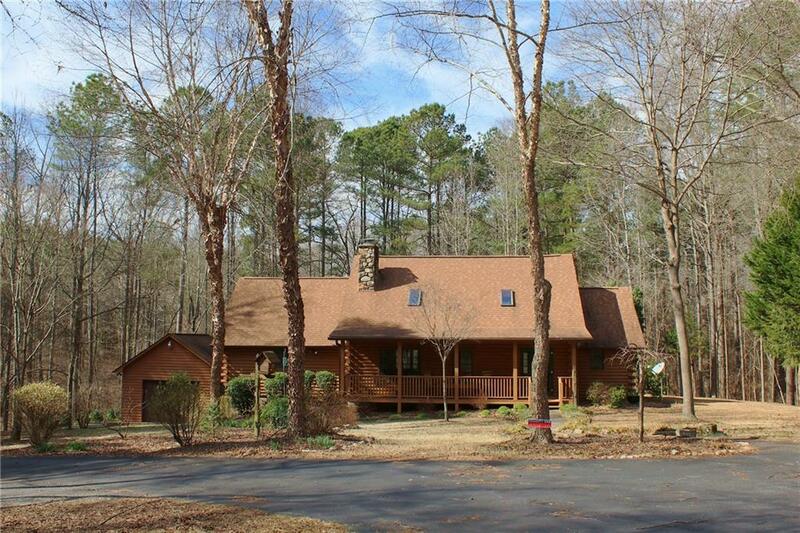 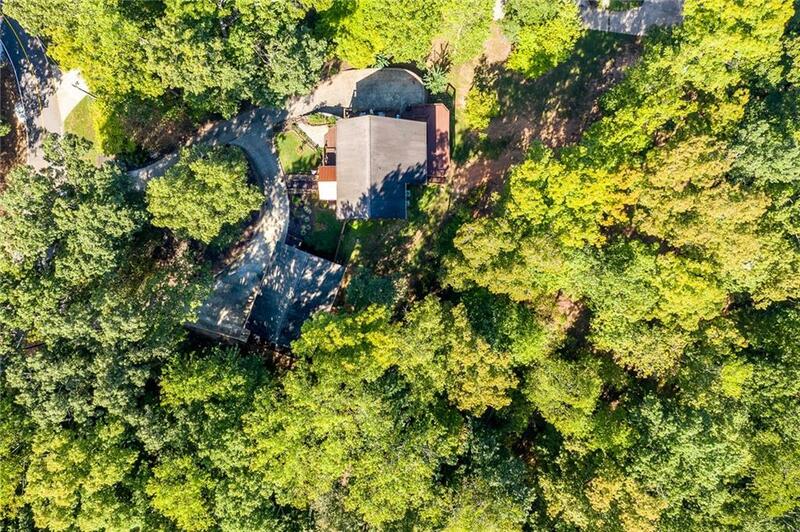 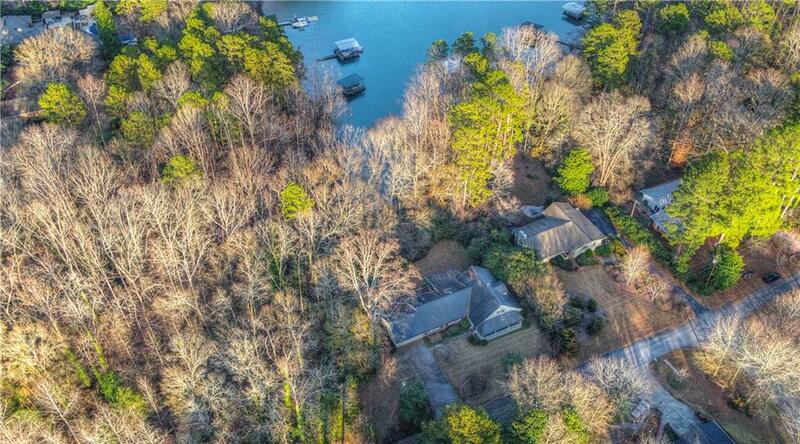 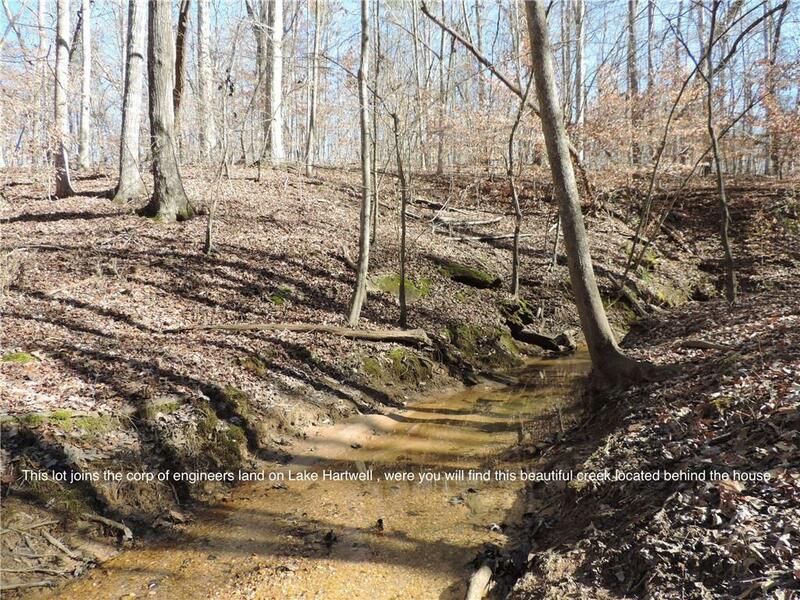 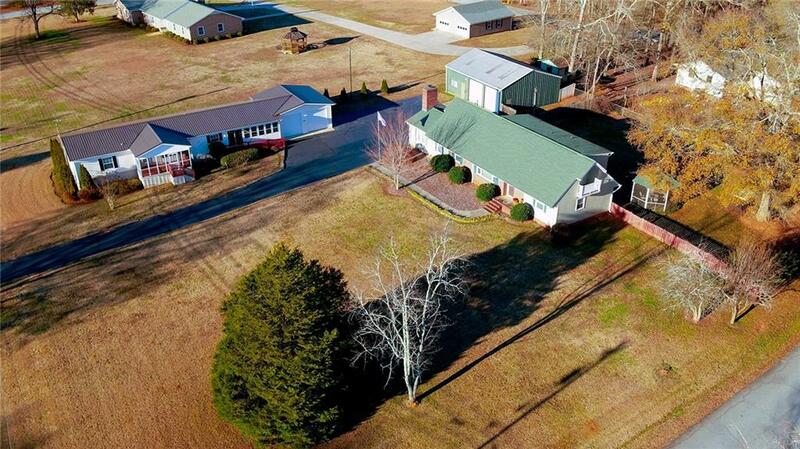 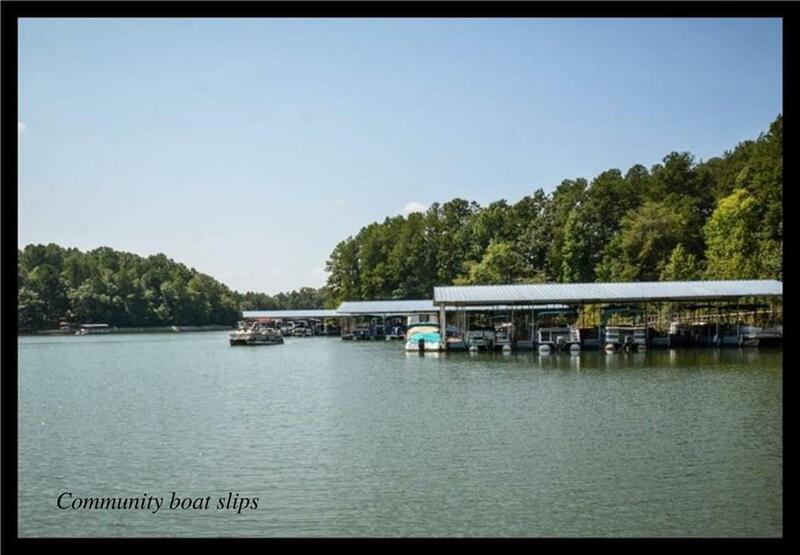 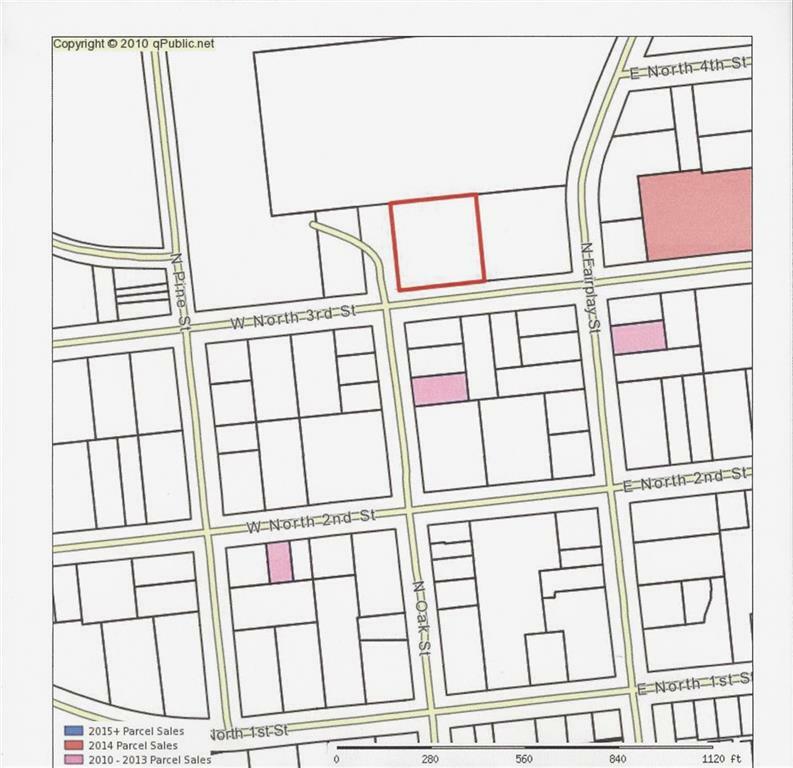 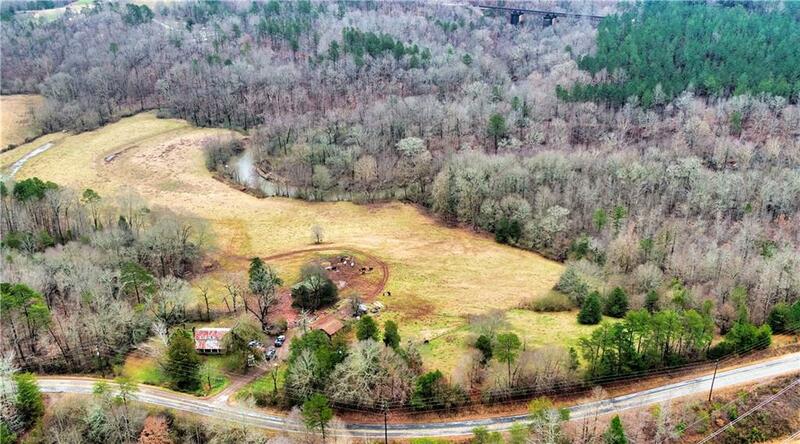 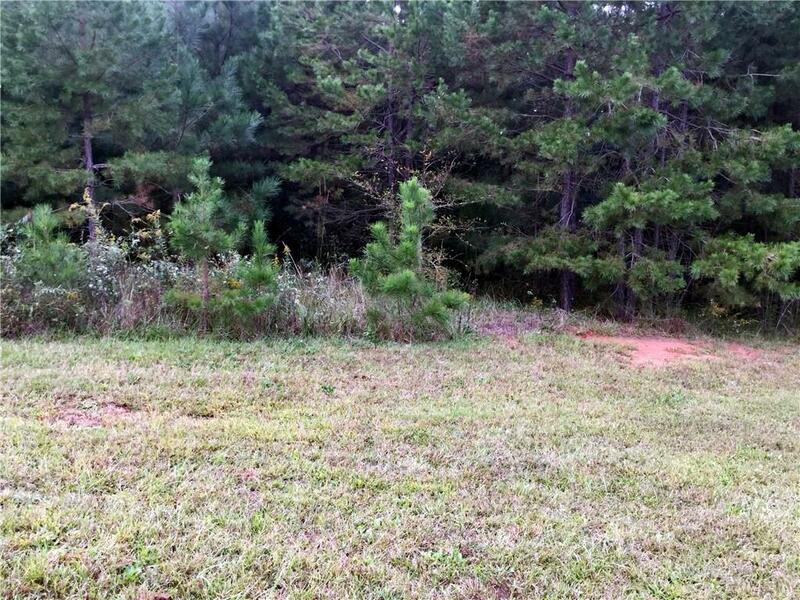 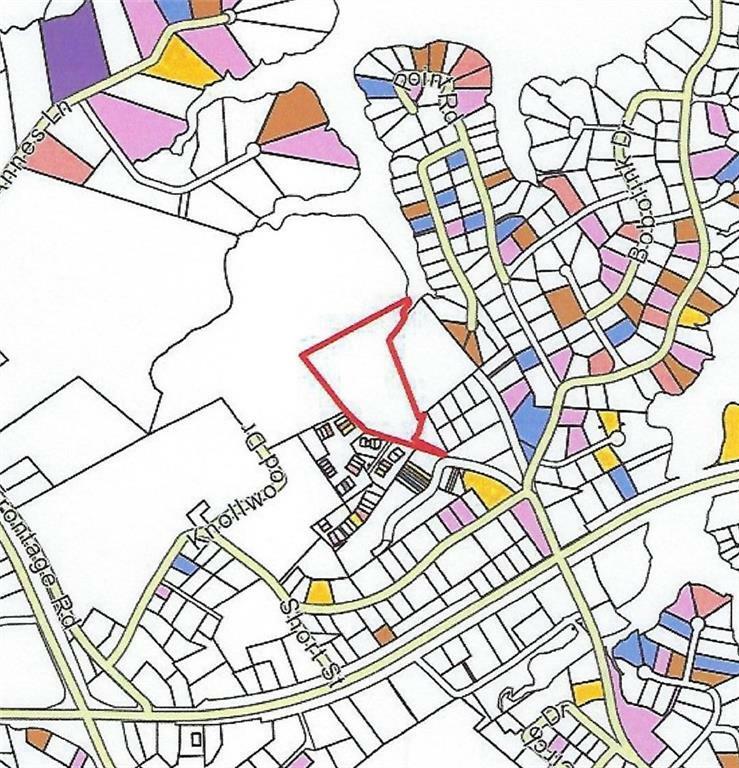 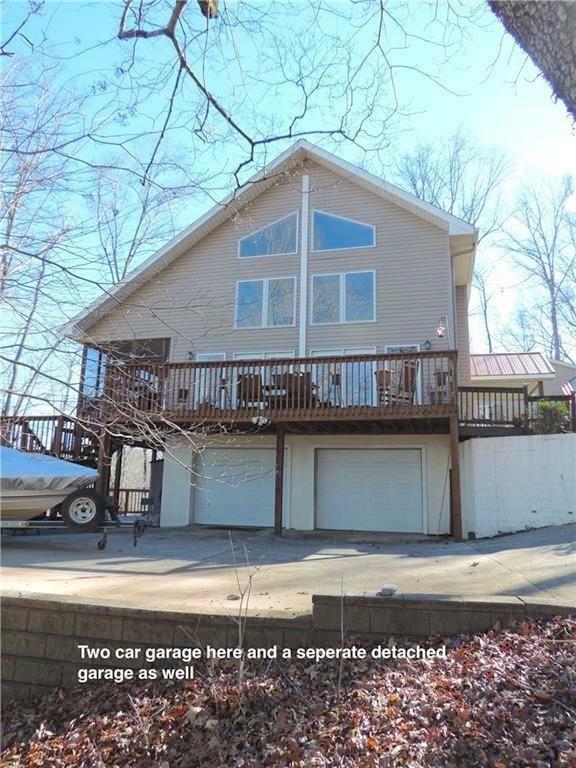 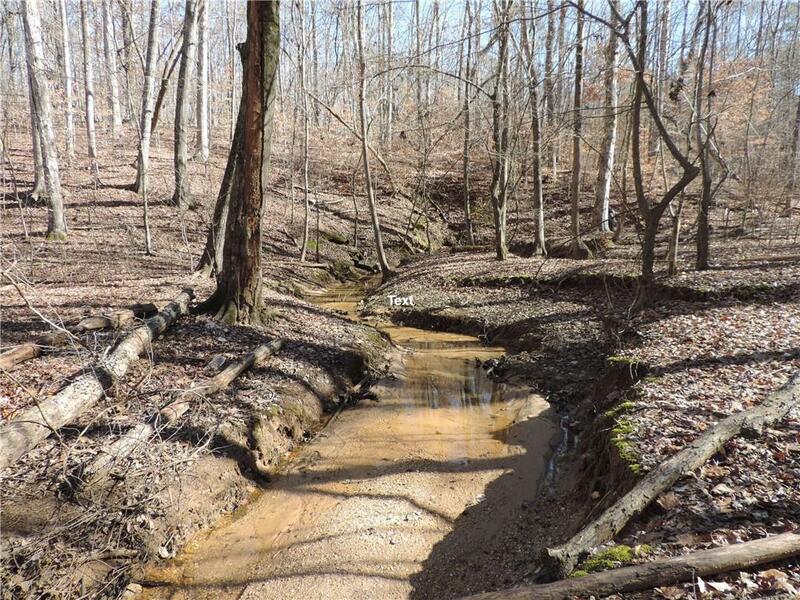 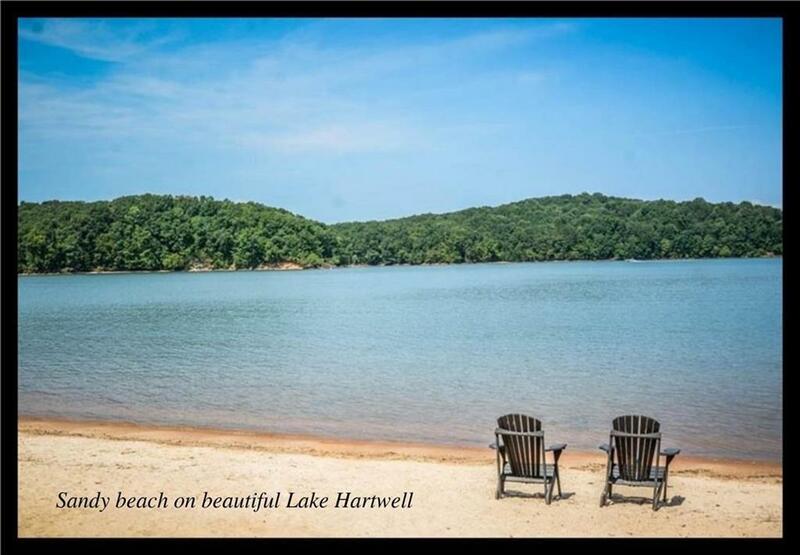 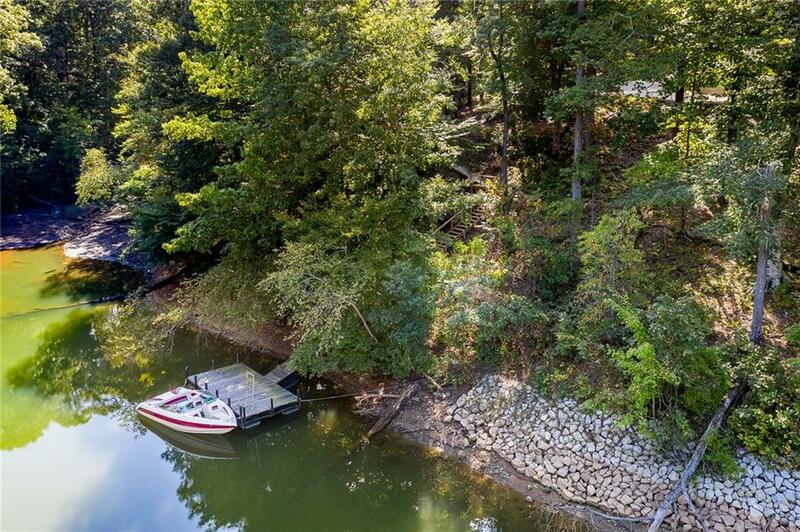 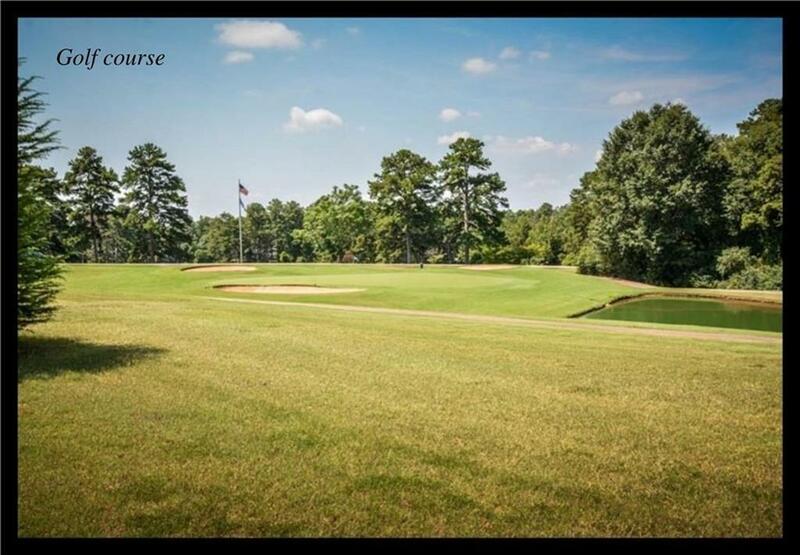 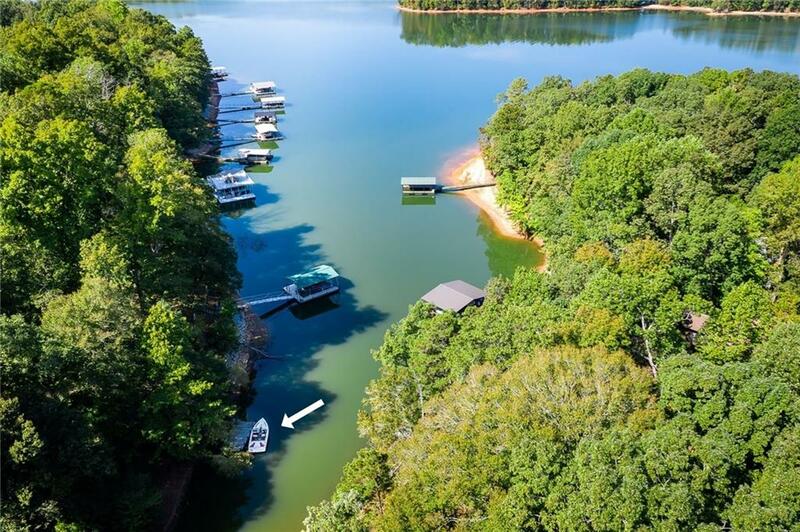 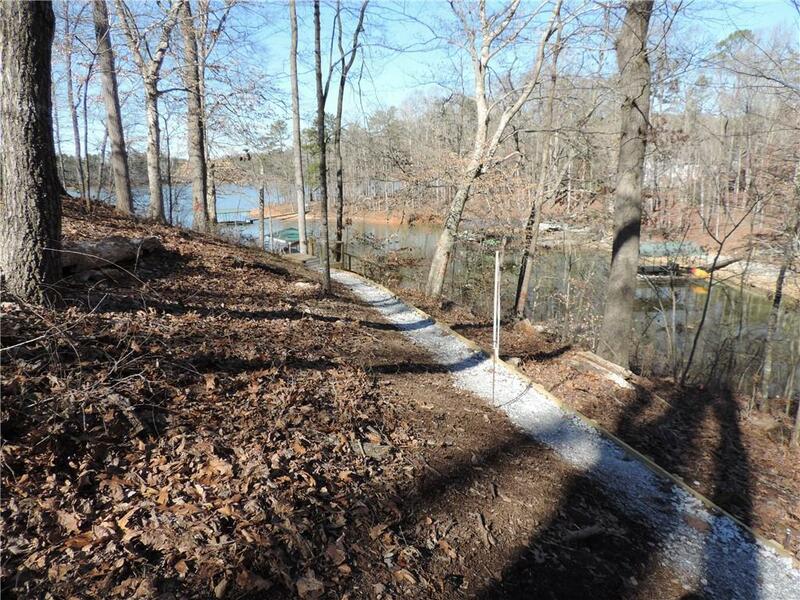 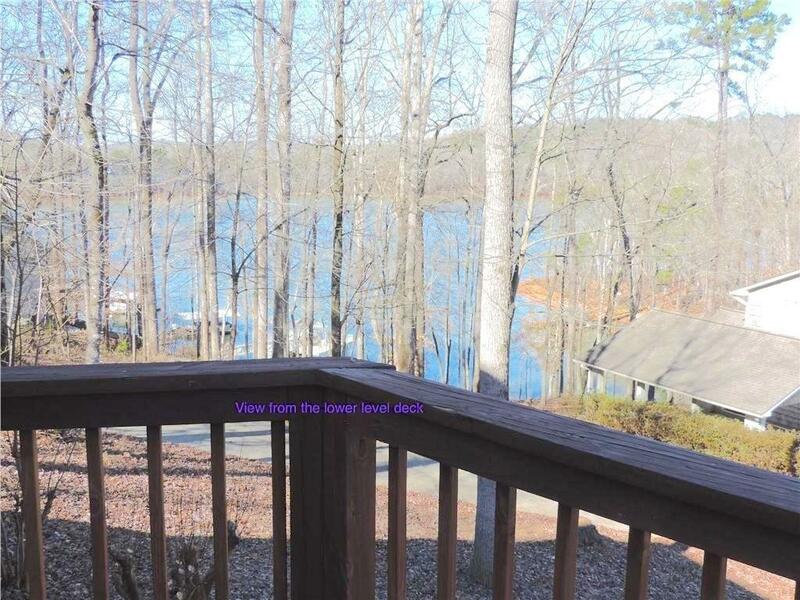 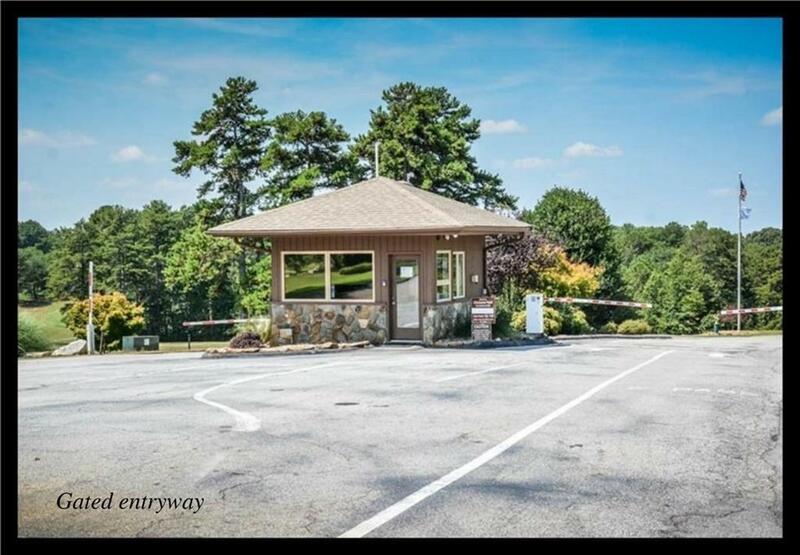 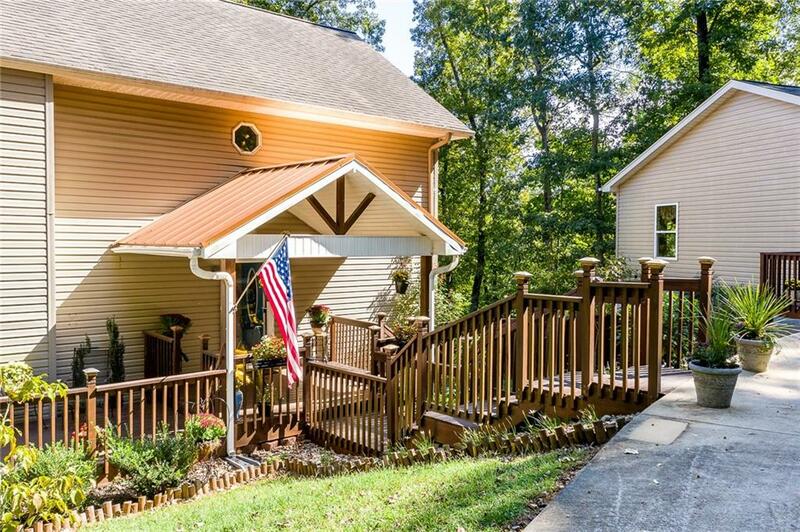 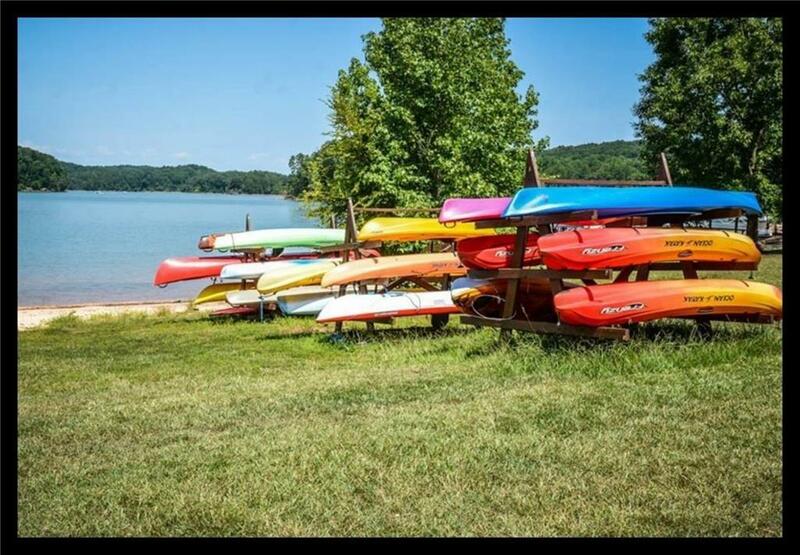 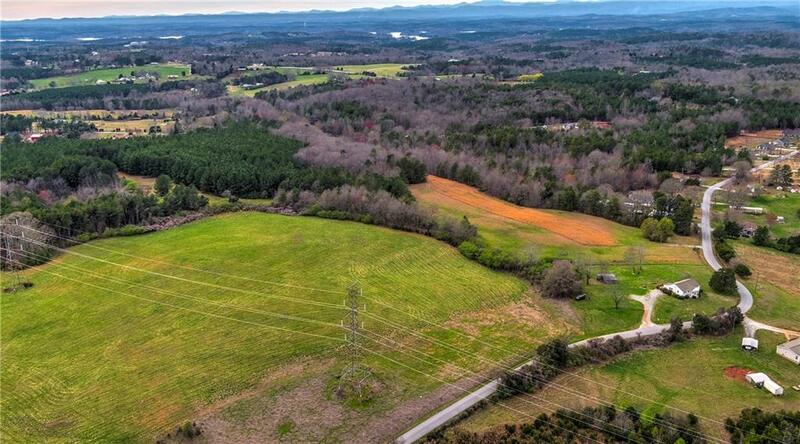 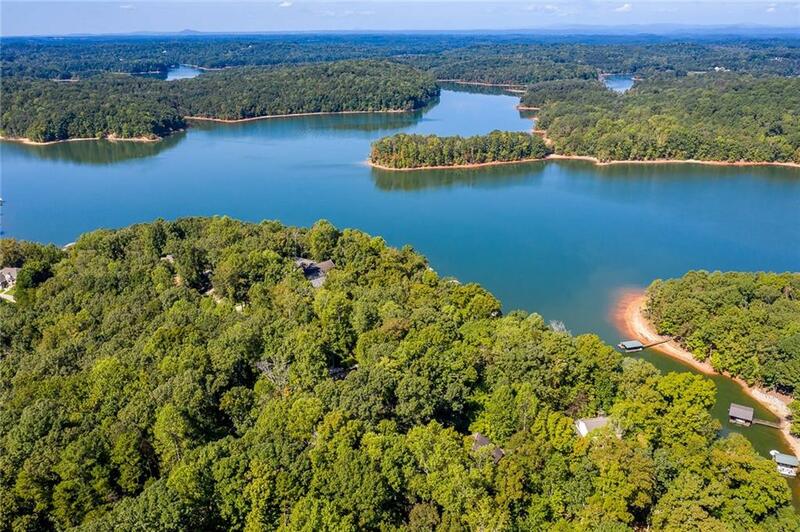 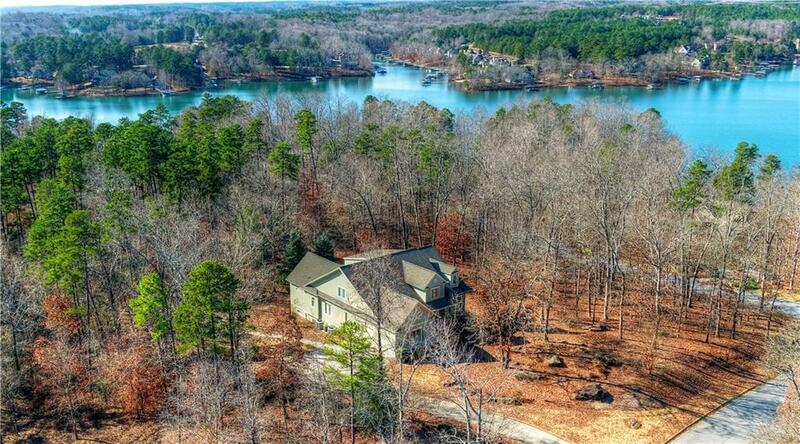 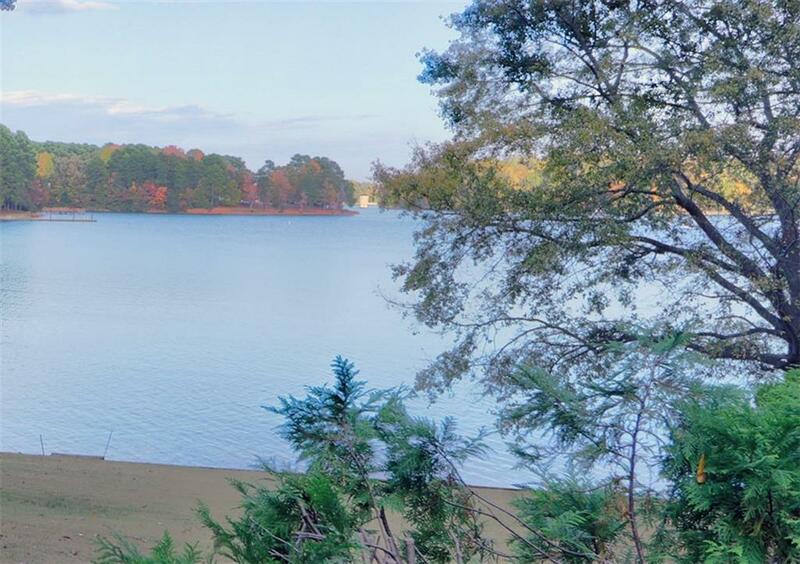 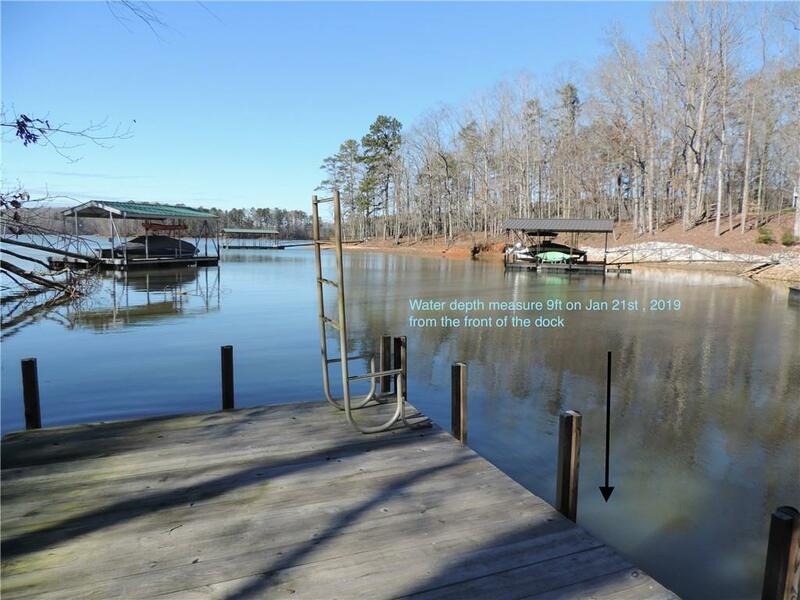 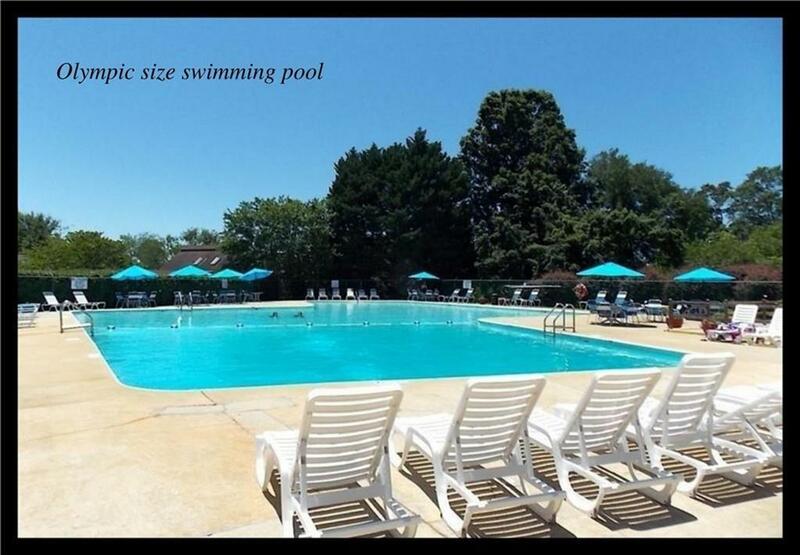 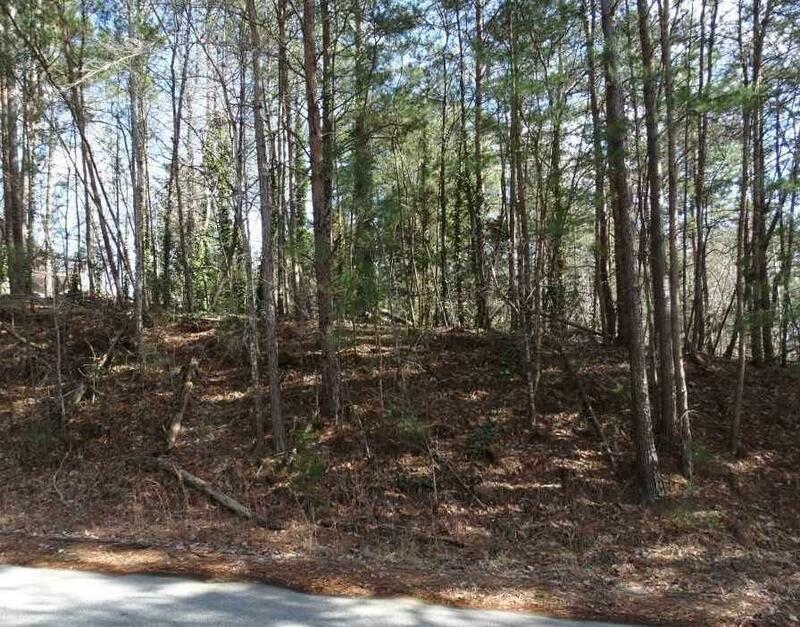 This is a beautiful area in a great location - convenient to I-85 located on Lake Hartwell.